Hi dear, thanks for sharing all these lovable links! I love the 30x30 challenge! Love all the links! Great post! LOVING all the fun links! Thanks for sharing :) Check out my Fab Friday Beauty Tip if you have some time! Great links! I always love finding new, inspiring blogs to follow, and these are some awesome finds that I've never had the pleasure of seeing before! Congrats for you blog! I love it! I love Nicole Riche's dress! She always manages to look so chic! This is great post, I like that you share blogs what you like and it's always great to find something new. This is truly a lovely post dear! Thank you so much for sharing. Great blog! Great links! I love it! Awesome! Can't wait to check these out! Thanks for sharing! these links are amazing! thanks for sharing. Such an unique post. Great way to showcase the twitters of friends. Such a great compilation of fun blog posts! btw, love the previous post of polka dots under $40! Really interesting links! Thank you sharing them with us! I also want to thank you for commenting on my blog! Hope to see you again soon! 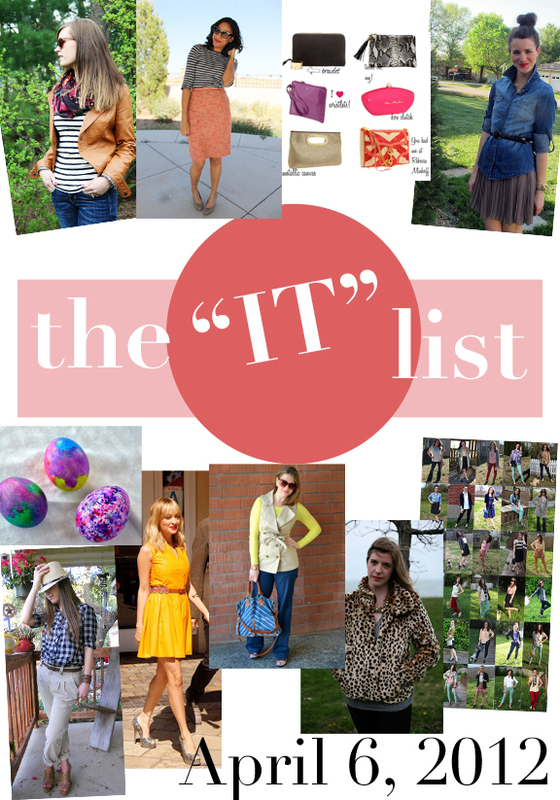 wow the list is great, thanks so much for all these gorgeous links and tipps! Wow great list! Thanks for you comment on my blog. I will follow you. Do you follow me back?